I've talked a lot about my shop, Brighter Day, here and there... but not specifically about where we see it going in the future. Last May when I made my first wristlet purse and reopened my Etsy shop (which had formerly been a jewelry shop), I never imagined how it would change our lives over this past year. Business picked up much quicker than I expected, and the demand has only grown. By late summer and fall, I found myself sewing for hours nearly every day. I had just learned to sew a bag and put in a zipper, so I learned a lot through trial and error, developing new designs and techniques as I went. Since then, the shop has stayed just as busy. It hasn't been uncommon for me to sew 50 to 100 bags in a month. And I'll be honest... there are days that I'd rather not open my craft room door, turn the iron on, or cut one more piece of fabric. :) It's a full-time job, on top of an already full-time school and clinical schedule. But to say we are thankful is an understatement. God has blessed us tremendously - much more than we ever imagined - through this business. To be able to create things that people love is an honor, and the fact that we are able to donate to an awesome cause is so motivating. Financially, it has helped put me through school with as little debt as possible. 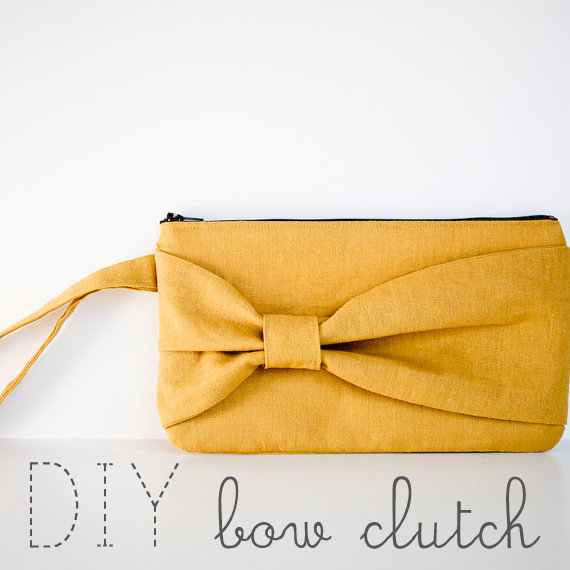 I wouldn't have believed it if someone had told me last year that we'd be paying school bills by sewing purses! Currently, we are giving 10% of all sales to International Justice Mission, a cause we really, really believe in. But ultimately, our vision is even bigger. Our vision is to not just send money, but to go. Shawn and I have always had a heart for international missions, and we know that that's where God has called us in some capacity in the future. Our vision is to partner with an organization - possibly IJM, we're not sure - that frees women from sexual slavery/human trafficking, which is an all too common reality in many countries. Once these women are freed, they have to make a living somehow to survive. They need a skill. And that's where we come in. We would be able to offer them a skill... to teach them to sew, and hire them to work for Brighter Day for a fair wage, and we would sell the bags here in the U.S. in a similar way that we are selling them now. Currently, custom bridesmaids' orders makes up 95% of my business, so we would stick with this market. I know there are similar business models, with women from other countries sewing or making jewelry and selling their products in the U.S. I think the one main difference here is that these bags are already selling and appeal to American brides and bridesmaids. Hear me out... I say this with all respect... but many of the products I see look very indigenous to that country (i.e. fabrics are very African or Latin American looking with their bright colors and patterns, etc.). 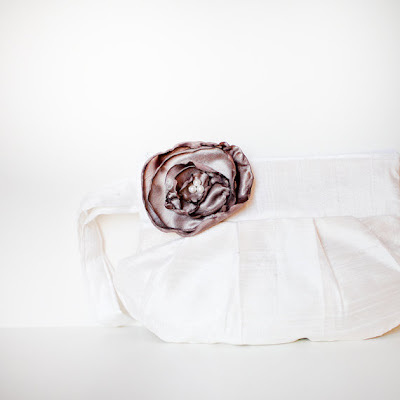 While this may appeal to buy one or two purses for a good cause, it may not appeal to American brides. But if we kept the style being something that is already selling like crazy, I think it could go really far. It's a big step to put this dream on paper - where thousands of you will read it - but we're dreaming big because we serve an even bigger God. We are filled with passion and fervor when we talk about this plan, and we feel it's a God-sized idea that He has given us and only He can fulfill. He is in the business of rescuing and redeeming, and what a privilege it would be to be a small part of that work! We feel He has already been preparing us for this in unique ways... Shawn with his business knowledge, creativity, and passion for God's Word and discipleship; me with my love for all things handmade and my passion for women's health (where I picture practicing nursing). There are many steps to go. We've already created an LLC and we have a couple people who are helping us part-time in sewing bags (and Shawn recently learned to sew!). But past that, we are praying for the right people to intersect our path, to breathe life and pour expertise into this vision to make it a reality. We would so appreciate your prayers in the process! I had you on my thoughts the other day...so many purses for one person to sew. I don't believe this happened by accident either. Our God is BIG! That is awesome! I'm going to IJM's global prayer gathering in a couple weeks, it's going to be rad. But really, that is an awesome idea. Wow! This is all so awesome! What a gift you guys have! 50-100 bags a month, that is nuts! SO happy for your success and dreams! Whitney, that is a fabulous idea and I am VERY impressed. I just have this feeling that one day, you will hear about Brighter Day all around the world--that you will be known as a very important ministry team. 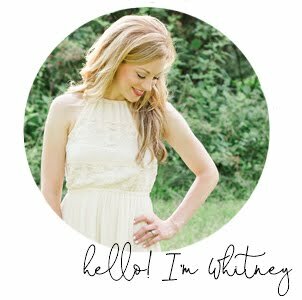 Introducing myself first- I found your blog via pinterest roughly a month ago and shortly after began following. This is such an amazing opportunity. The only thing I could think of is the name of your shop- Brighter Day. I don't know your reasoning behind choosing that name, but think about how God is going to be using you to brighten the days of those women who would otherwise be untouched by this craft and potentially God's word. It's so incredible how God lays out all of these plans way in advance! He is so cool! He knew when you started this that He had a far greater plan than you could have ever imagined, and that always makes me stand in awe! YES - so cool how God did that with our name, "Brighter Day." So fitting. So excited to see what else He'll do! Whitney, this is amazing!! i can totally hear God in this- it just sounds like Him! :) What an a cool door He opened for you- and I can't wait to see how He walks you through it. Keep the faith and press on! Makes me teary eyed at His joy and plan! Now unto Him who is able to do exceedingly, abundantly, above all that we ask or imagine..."
Thank you, thank you, thank you for your sweet support! I can't wait to see how this is all going to unfold. Today happened to be a terrible, horrible, no good, very bad day (the first in a long while), and it reminded me that we are in spiritual warfare! The Enemy does not take this kind of thing lightly. Marisa, that's so great to know! I'll let you know! :) Thanks!! Erin, that's awesome!! I wish I had more concrete ways to get involved right now (other than cutting and pinning fabric haha), but WHEN I do, I'll be sure to let you know. THANK YOU!